Celebrate your birthday, your graduation or your goodbye party in style: Monday is the perfect time & place to celebrate! Anything goes for a good celebration. Folded beds next to the dance floor. INCLUDING 4 X ENTRANCE. EXCLUDING DRINKS. Minimum spend of €100 is required. Optional: fingerfood for 4 | €50,- (only before 10:30pm). Beds behind the DJ booth. Minimum spend of €150 is required. Optional: fingerfood for 4 | €50,- (only before 10:30 pm). 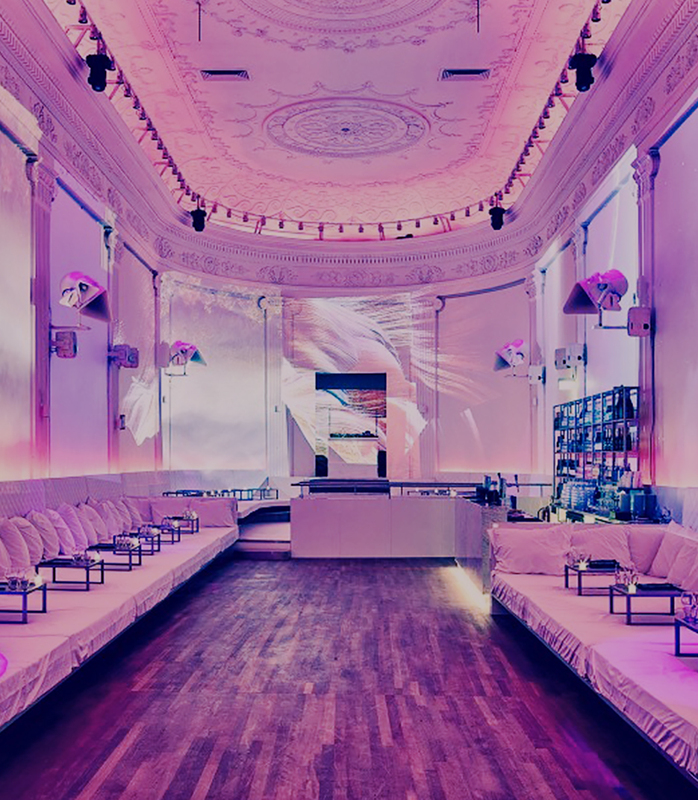 Would you like to have an exclusive private residence within the Monday party? Together with the Supperclub we’ve made a special arrangement for you. 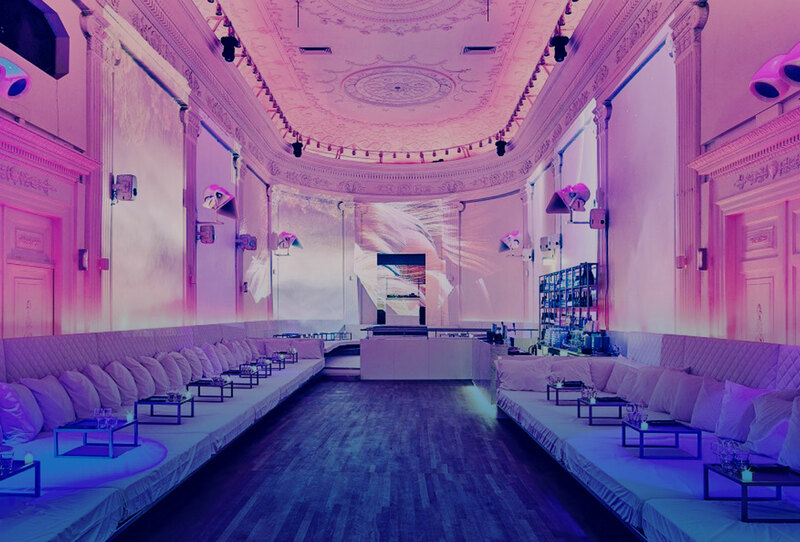 – MAXIMUM OF 70 PEOPLE EXCLUSIVE ON THE BALCONY AREA IN THE SUPPERCLUB. – Reservation minimum of 2 weeks in advance is necessary. – Creditcard or down payment is obliged. • We like to know our table guests, so only friends of the house (or their friends) are able to reserve a table. • Table groups have to consist of at least 50% women. Groups of only men will be refused at the door. • We want all names (first and last names) in advance of all group members. • Everyone in your group has to be over 21 years and in possession of a valid ID. Otherwise no access (no exceptions!). • A table is for 4 persons. You can put 4 additional people on the paid list (each additional person pays € 10,- per entry). So a maximum of 8 people at your table. • Do you have more than 8 people at your table? We kindly ask you to purchase an extra table (as long as they are available). • The cost of the table will be settled upon arrival at the cashier. The drinks will be ordered and paid when seated at the table to one of our hostesses. • Each table is required to purchase a bottle of liquor or of 2 bottles wine. • A table is only accessible to guests, when it has been paid. • Your table will stay reserved till 11 p.m. After that your reservation(s) can no longer be guaranteed. • If you are delayed or want to cancel your reservation, let us know a.s.a.p. Preferably before Monday 9 p.m.
• People who don’t show up without notice, aren’t allowed to book any more tables at Monday. • If you make the reservation, you will be held responsible for anything that happens with your entourage. • You may bring a little symbolic cake. But please keep in mind that the Supperclub is a restaurant that doesn‘t appreciate when guests bring their own food. So cup cakes or small cakes are allowed, large pies, plates and cutlery are not. If you want to bring a large cake, we will charge “cutlery-cost” extra (€1,50 p.p.). • Confetti is not allowed! A few garlands and (helium) balloons are allowed instead Only when they have a 10 m. long rope attached to it). • Please clean up all your ‘party remains’ and/or take them home with you. If you do not like to clean, no problem, but we will charge €70, extra. If your request meets with our conditions, please send us your list of names (first and surname) and we can make you an estimated price. Mostly, we want everybody to have a great Monday party together! Let’s respect each other. If you have any questions, please let us know. I have read and agree with the rules of the tables. Please answer all questions above before sending your reservation. we try to reply messages as soon as possible - on weekdays we strive to respond within 24hrs.